Premium Black Edition - Precious design and highest quality! The new Premium Black Edition is the most elegant version of the trampolines of Salta. 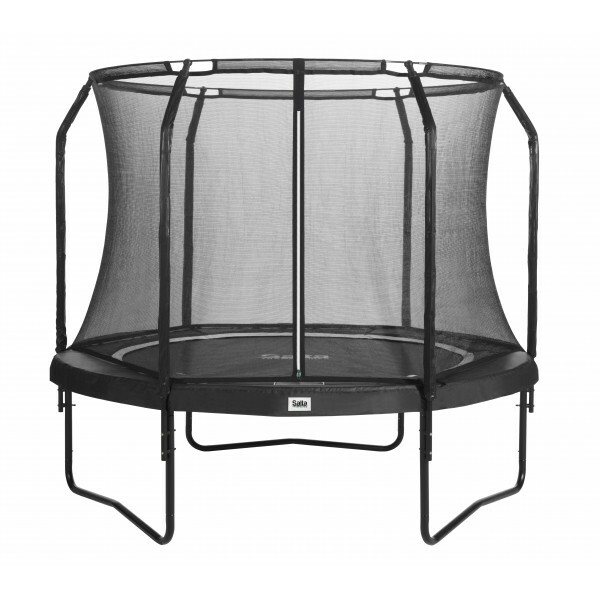 The luxurious garden trampoline, including a high-quality safety net, has a unique design and high-quality high-end components. Due to the galvanisation and the additional powder coating of the sturdy steel frame, it is extremely corrosion resistant and durable. The jumping experience of the Black Edition is excellent thanks to the galvanised, conical springs. The golden-coloured springs allow for high jumps and a very soft coming down. The very wide and well-padded protective edge offers a maximum protection for users of any age. In addition, it is wear-proof and UV resistant. The provided safety net is very sturdy and its upper edge is equipped with a ring made of fibreglass. This fibreglass always keeps the net in perfect shape. The Premium Black Edition offers a multitude of positive features and offers fun for users of any age. Motor skills and coordination are trained while jumping on the Salta trampoline. Furthermore, the good jumping conditions strengthens the muscles and improves the sense of balance. The high-quality Black Edition, whose basis is the First Class series, is a real eyecatcher for the garden at home and offers an elegant design. The use of the trampoline is recommended from an age of three years. Salta ladder for trampolines In stock! Salta trampoline fixation set In stock! 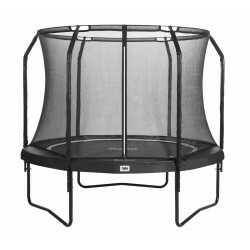 Salta trampoline Premium Black Edition add to comparison list.